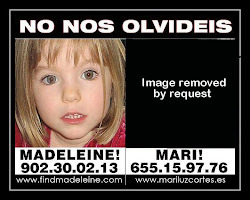 MARI LUZ CORTES : LIST OF MCCANN VICTIMS: Mari Luz Cortes found in river... even in death The McCanns, with full knowledge of their own daughters death ( all evidence points to the fact she died in the holiday apartment) continued to abuse the small body of Marie Luz....they will do anything to keep their faces in the news. Mari Luz Cortes found in river... even in death The McCanns, with full knowledge of their own daughters death ( all evidence points to the fact she died in the holiday apartment) continued to abuse the small body of Marie Luz....they will do anything to keep their faces in the news. THE body of a girl found floating in a river estuary in Spain was last night identified as missing Mari Luz Cortes. The five-year-old’s parents feared she had been snatched like Madeleine McCann when she vanished on January 13. Last night Maddie’s parents Kate and Gerry were “extremely saddened”. Mari had gone to buy crisps from a stall yards from home in Huelva. Her decomposed body – still in her pink leotard – was spotted at 4pm by a security guard at a port near the city. Reports said she had a face wound and fractured skull. 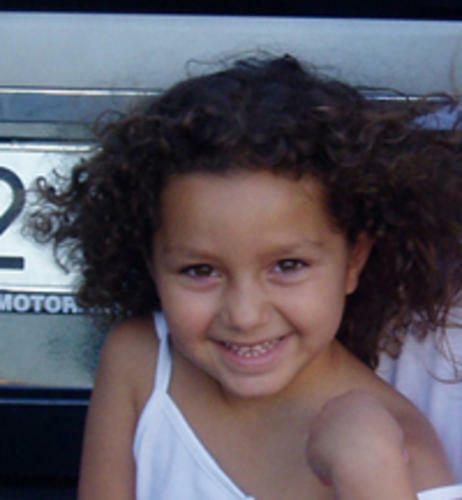 Huelva is less than two hours’ drive from Praia da Luz where Maddie, four, disappeared on holiday in Portugal last May.